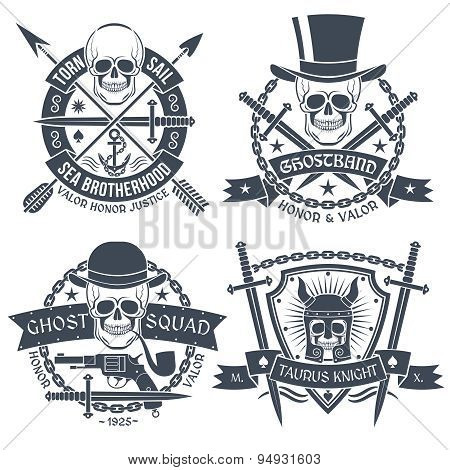 Vintage emblem with skull well suited as tattoo t-shirt. Text is easy to change for your own. 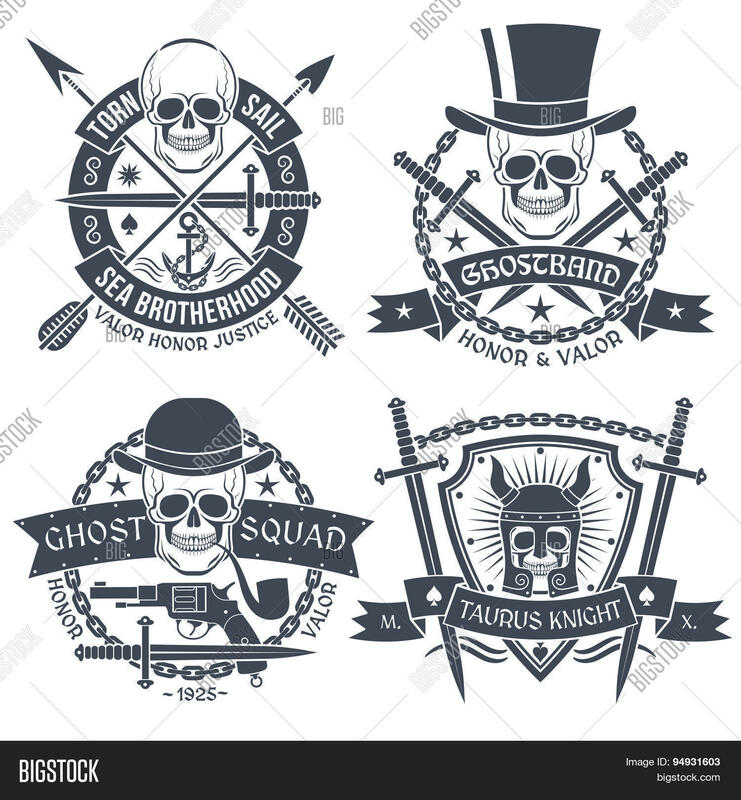 Skull dagger pistol hat chain ghost arrow anchor pipe sword shield knight's helmet.